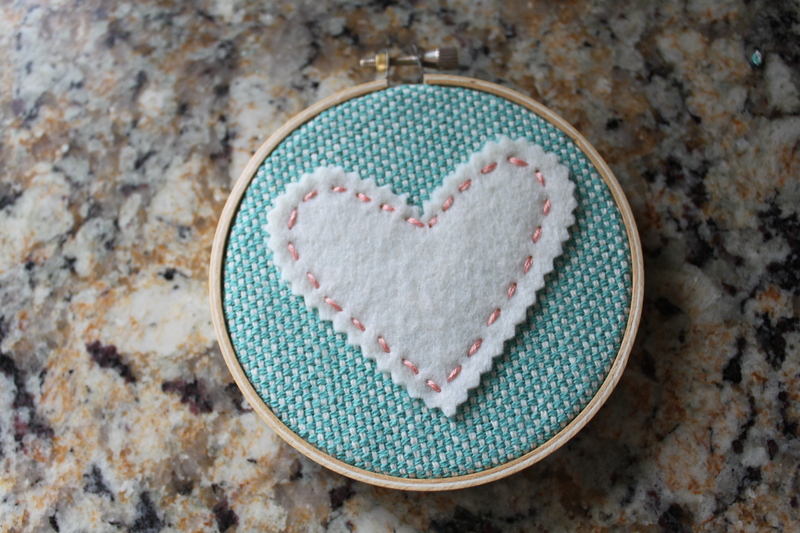 I made a heart hoop last week for pictures to announce my pregnancy. 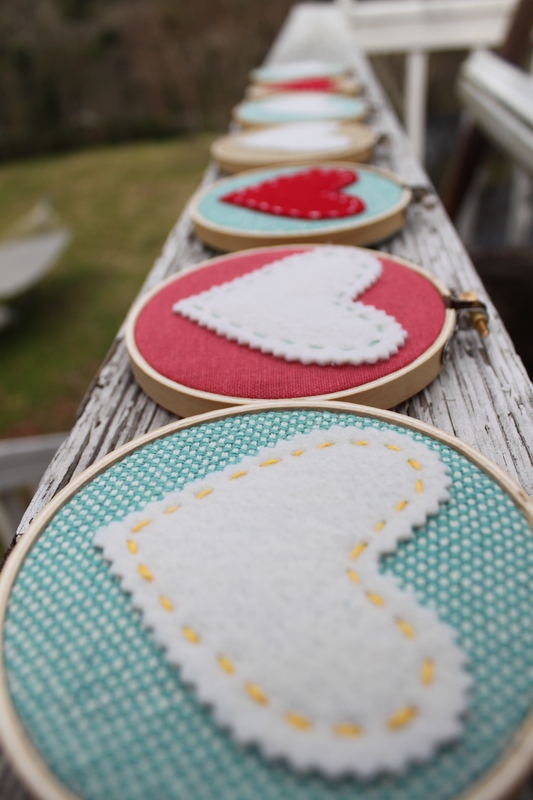 It was so much fun, I decided to make lots of mini versions for my valentines this year! 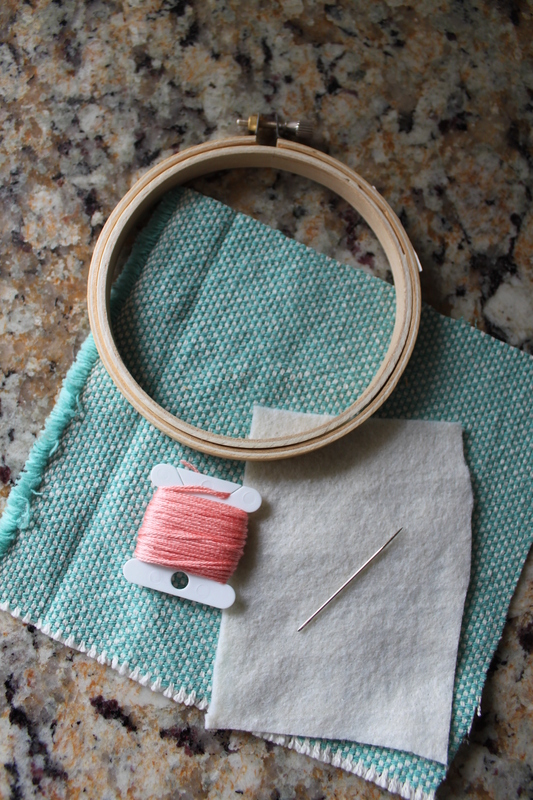 Secure your fabric into your hoop. 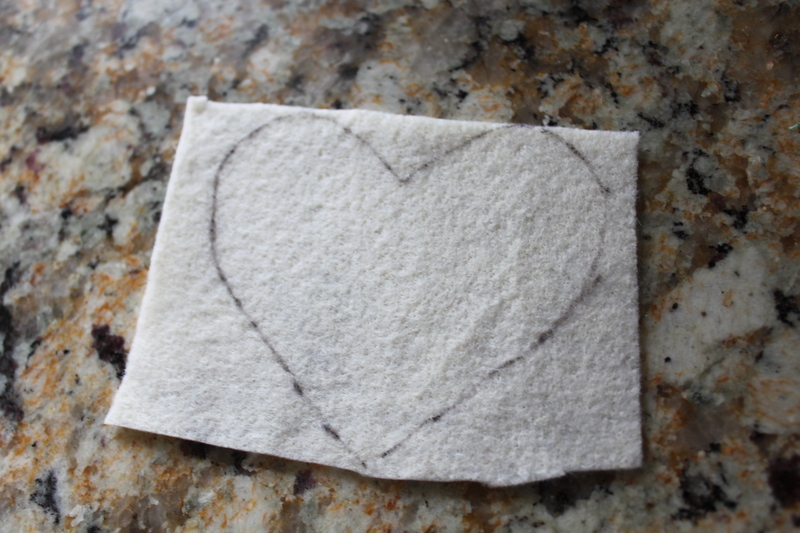 Trace out a heart onto your felt or fabric. Cut out with scissors or pinking shears. 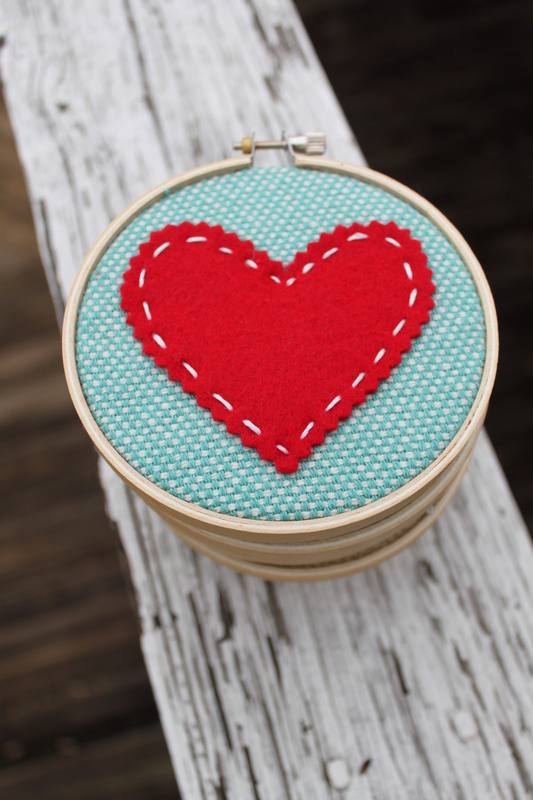 Stitch your heart to the fabric. 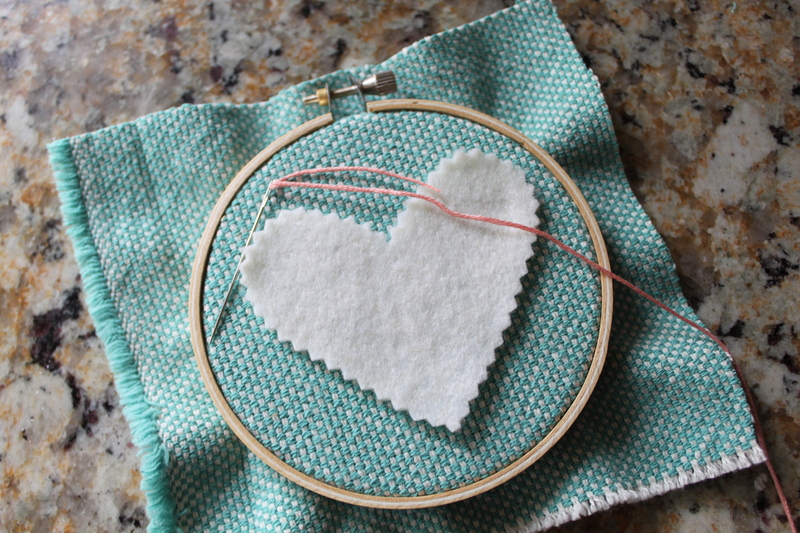 After you’ve stitched on your heart, trim the edges of the fabric. 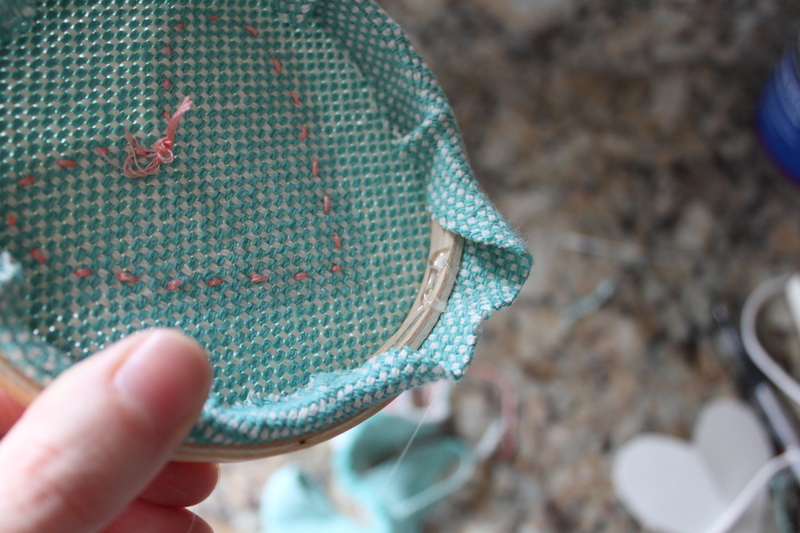 Hot glue the inside of the hoop and fold the extra fabric over. This gives it a more finished look. 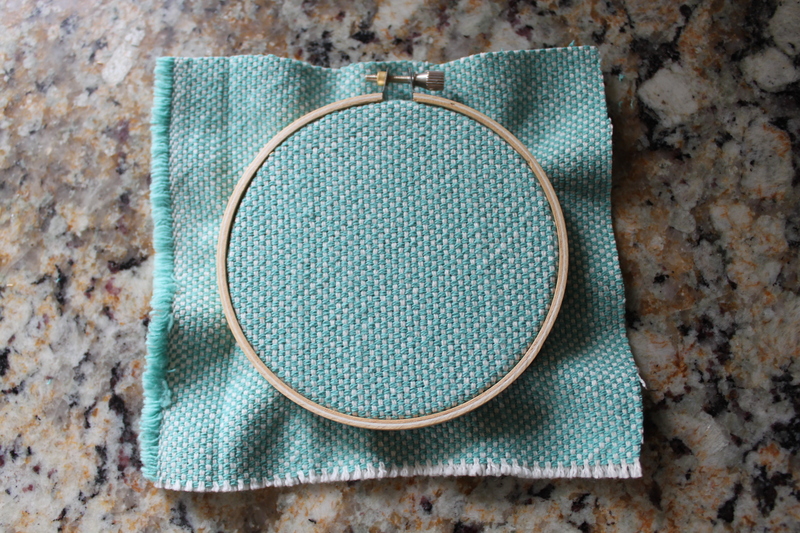 You could just trim the fabric to the edge of the hoop if you’d rather skip this step. 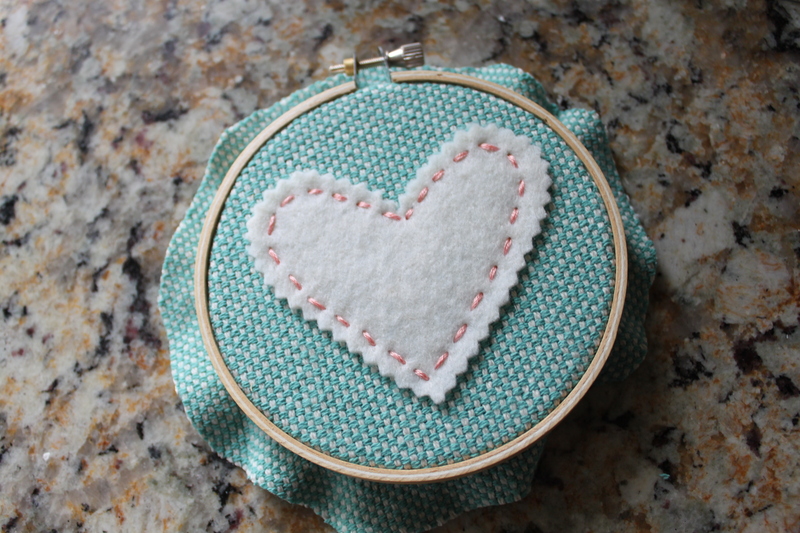 These are really quick and easy to put together and I think they’re so darn cute. 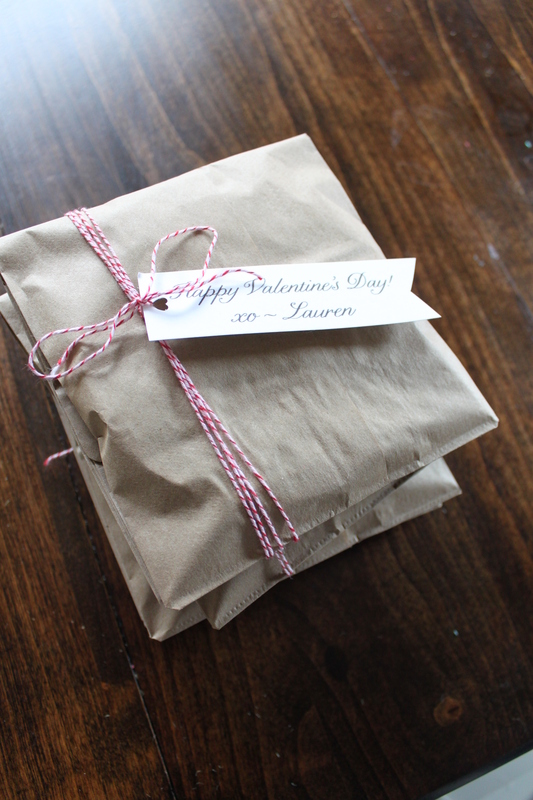 All packaged up ready to spread the love! Previous postBack with some news! Love these! I made some today after seeing your post on Eighteen25! Are you on instagram? I would love to tag you and follow you! Cute idea! 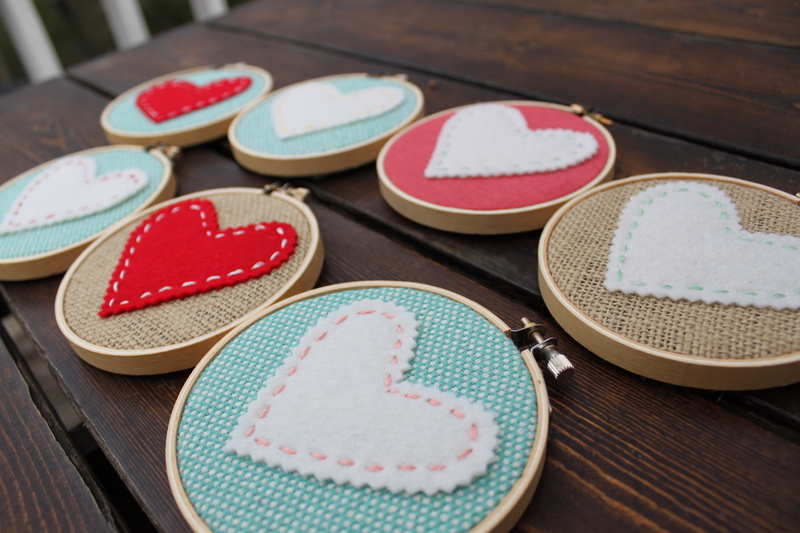 I want to make a few of these. Thank you!